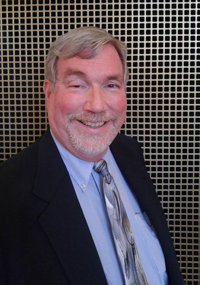 A LETTER FROM THE DIRECTOR, PROFESSOR PETER WASEMILLER J.D. The Paralegal Program at Fresno City College was one of the first of its kind in the region. It continues to provide comprehensive, top-quality training for persons interested in a career as a paralegal/legal assistant. Courses are taught primarily by practicing attorneys and seasoned paralegals that bring to our classrooms their knowledge of the law, and experiences informed by work in the field. Fresno City College’s paralegal program has been recognized as one of the top 100 paralegal programs in the country. The program offers both a Certificate of Achievement in Paralegal Studies or an Associate in Science in Paralegal Studies. Upon completion of 38 semester-units in the major, graduates of the program meet the paralegal definition requirement established by California law. In addition, all students in the program are required to complete a voluntary or paid internship equal to 4 semester units, or about 300 hours. The paralegal profession has consistently been considered a positive growth profession at national, state and regional levels; and was recently named one of the top 100 occupations in the Central Valley. It is an exciting time to be involved in such an important and promising profession. Please contact us about becoming a part of the Fresno City College Paralegal Program. 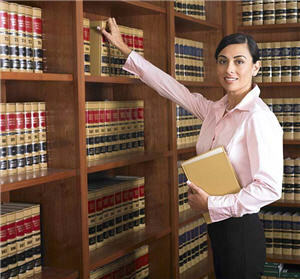 Paralegals are legal professionals, working under the supervision of a lawyer. They perform substantive legal work – such as research, writing, or investigation – that requires a thorough knowledge of the law, and is customarily, but not exclusively performed by a lawyer. Paralegals often engage in frequent client contact: from interviews to case status updates, we are often the first line of communication between the firm and clients. Paralegals also take off some of the burden from attorneys by performing legal research, or drafting documents like pleadings, motions, or interrogatories. Sometimes paralegals may even be asked to investigate factual matters! Paralegals may not practice law. This means that paralegals may not give any legal advice, represent clients in court, set fees or establish an attorney-client relationship, or select and finalize documents for anyone else than the attorney supervising them. These would constitute the unauthorized practice of the law, and may only be done by attorneys. Paralegals may also not act as a runner or a capper (“ambulance chasing”), nor may they work directly with the public. What Careers Can I Choose? Other than working in a traditional law firm, paralegals also work for a variety of government entities – for example, in the court system, with the prosecution, or with administrative agencies. This program also satisfies the requirements to become a Legal Document Assistant (LDA) under Business and Professions Code section 6400 et seq. Other opportunities include jobs in corporate legal departments, alternative dispute resolution like arbitration or mediation, and even careers unrelated to the law where strong research skills are a must. The Student Paralegal Association gathers no moss. We are constantly working on or enjoying the next activity, or working on fundraising. We have found that through seminars, social gatherings and benefits, we enhance our academic education and become better prepared for our professional futures. SPA General Meetings are usually held on the first Wednesday of each month at 5:00pm in Room BE-121.